A wet, tired dog is a happy dog. Yesterday I took Penny out on the trails with me. Just the site of her leash was enough to get her filled with excitement. She ran around the house and yard bouncing and barking like a maniac before finally hopping in the car. Although she hates car rides- just being in one causes her to drool uncontrollably, she has learned that most lead to fun places. So, with her tucked in the back, the drooling commenced as we headed off on our adventure. I’m sure she was relieved that it was only a short ride. As soon as I opened the car door, we were off! 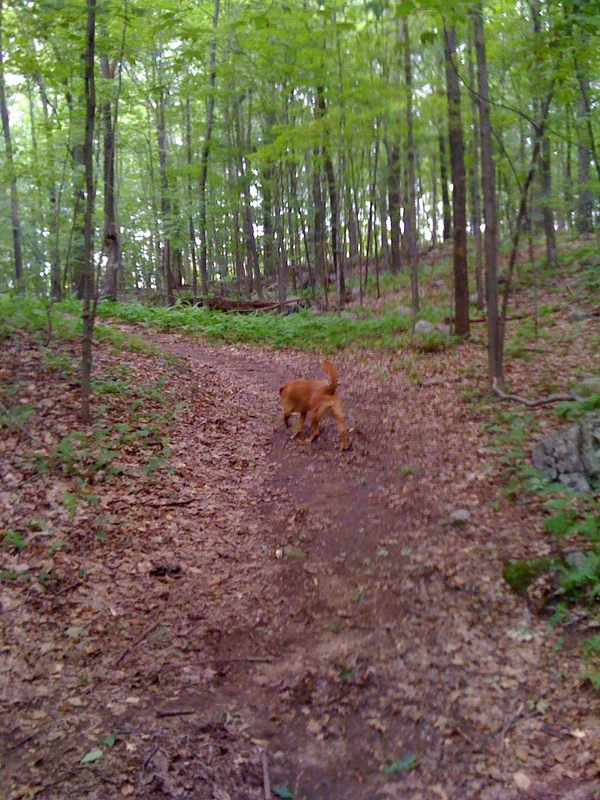 She tore through the woods filled with delight, bounding off ahead of me with an occasional look back to make sure I was still in toe. Running with her is a completely different experience than going on my own. Penny completely lives in the moment and is so filled with joy just to frolick through the woods and spend time with me. It’d be hard not to enjoy that kind of companionship on a run! Plus, it’s contagious. When I am with her, I have an extra appreciation for the pure fun of running and the sites of the trail. She will frequently meander off to investigate something that intrigues her, and it forces me to slow down and take in more of my surroundings. Plus,I feel safer when she’s with me. Not that I have any delusions about her protecting me (labs are not especially well known for their loyalty), but I’d like to think she might help deter a would be attacker. 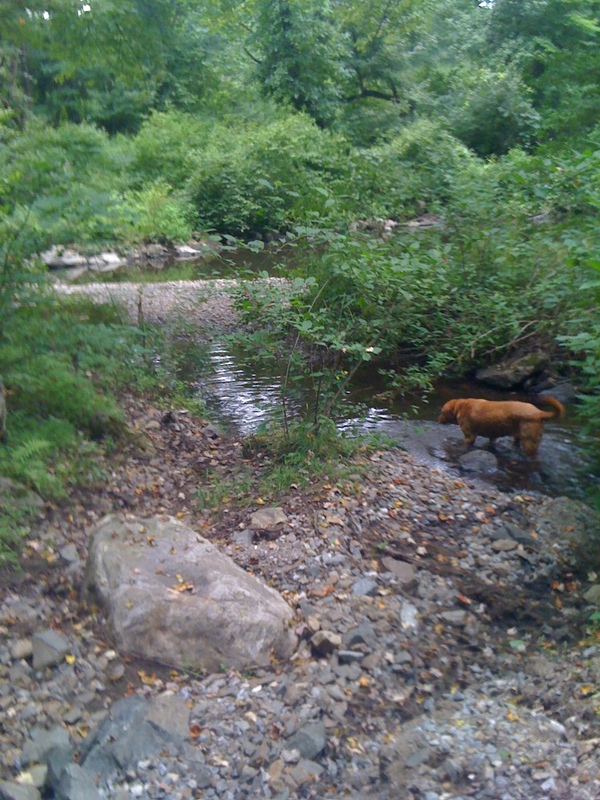 We ran a couple leisurely miles together before she noticed a stream, and I became invisible. In her defense, I’m sure she needed to cool off. 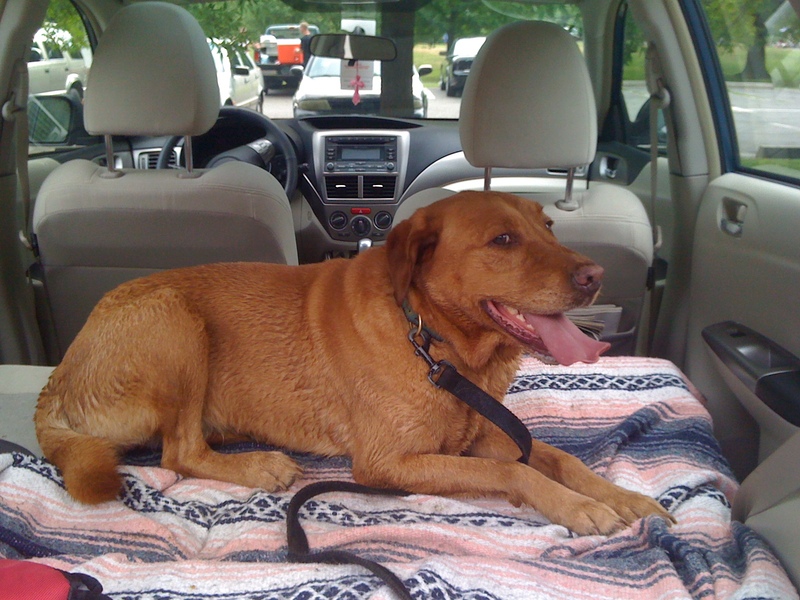 She returned to the car a very happy, wet, smelly dog. Typically, I have to run for lengthy periods of time to decompress and feel recharged, but running with Penny is an instant mood boost. It’s like spending time with a good friend. We don’t need to communicate; we just enjoy each others company.